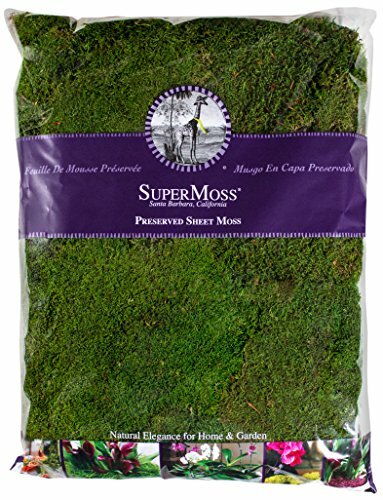 The fresh green sheet moss are flat, thin sheets of natural moss. Preserved and color enhanced for lasting beauty and is ideal for covering soil and dressing container plants. Clean and easy to use and allows soil to retain moisture longer also excellent for dressing orchids. 32 ounces covers about 200 cubic inch. This product weighs 32 ounces.